Most of us will at some point experience the death of a loved one or another cataclysmic loss in our live … Luminous Dark is a book to read before that happens. 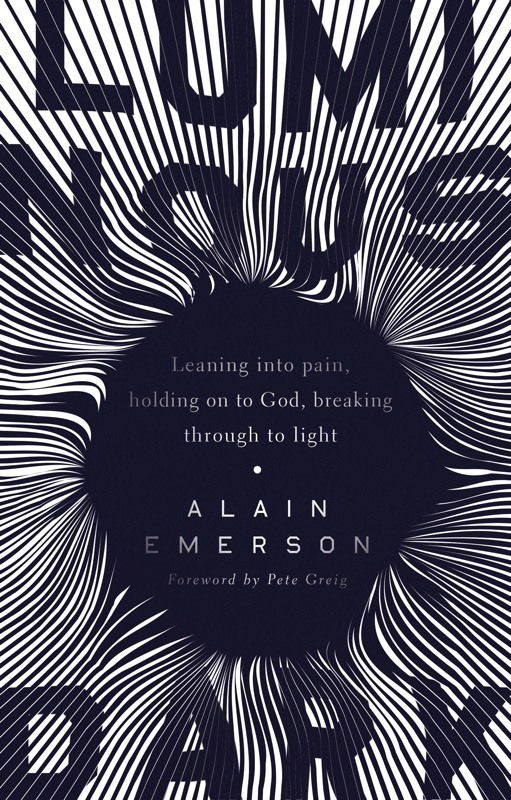 Alain Emerson has written a beautiful and instructive memoir on his journey through grief. It’s instructive because he tells his story very honestly with great vulnerability. He doesn’t quote platitudes like ‘lean into the pain’ without telling you exactly what that looked like for him. He tells of the early days of trying not to let grief destroy him, finding a way to lament and protest through the Psalms. He opens his journal from those days, full of raw emotion. He tells the entire story of his journey through that dark night of the soul, that luminous dark, that led to new life and a much deeper faith. Luminous Dark is filled with sound theology, the theology of the cross—death, burial, resurrection. It is filled with the wisdom of the ancients as well as modern-day prophets and mystics. It is a book filled with hope, one I will be recommending again and again, and will return to myself. I’ve not read a better book on this topic since C. S. Lewis’s A Grief Observed. Peri Zahnd lives with her husband, Brian, in St. Joseph, Missouri. Together they pastor Word of Life Church. They have three adult sons and five grandchildren. She is author of Every Scene By Heart: A Camino de Santiago Memoir.